Sure, it isn’t bad at all being second or third either, but not doing enough SEO work might result in slipping on some obscure page… when simply being on the second page is terrible enough. You get hardly 10% of users’ attention. 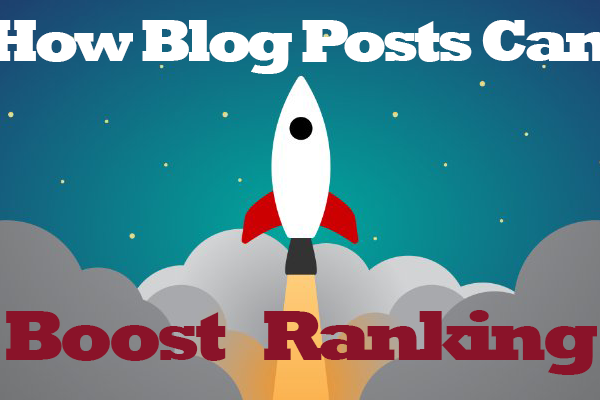 Internet marketers don’t use blog posting in vain. Having a blog is essential to your online success, to selling and increasing your revenue, even when you think your voice doesn’t matter. You can find out below why. At the core of each well-written blog post, there are a few relevant keywords or phrases. These sum up what the post is about and what your main offer is and must be related to what your prospective clients are looking for, or to solutions they can employ. It’s easy to include the keywords you need in blog posts – it comes naturally, and integration is very simple. When you use this correctly, it counts as an SEO effort. Besides, it totally gets you the right kind of traffic – the people who are genuinely interested, actively seeking for such offers or information. Tip: don’t handle keywords robotically. Think of long-tail alternatives that people would use when searching for things online. You may even opt for phrases, as it mimics the users’ behaviour when employing a search engine. Long-tail keywords actually attract 70% of all search traffic and, once implemented, your traffic may quickly grow with 20%. Besides this, you should also explore connected topics, since these may earn you the attention of new readers. As your business/product line/scope of interest expands, it’s certainly better to explore more keywords than the ones you started with. When are you feeling most inclined to buy something? When a salesperson or page tries to convince up front of purchasing a particular product or when you feel inspired to do so? In general, people don’t like aggressive promotion. They don’t react well to “Buy this”. They much prefer to hear a story of how others were helped, to hear of discovery, a solution, to be presented with interesting and intriguing ideas. That is exactly what a blog post allows you to do. Let it be your story that attracts customers in subtle yet powerful ways. Blog posts aren’t as visible and aggressive as regular sales copy. Once you’re targeting well-picked keywords, you can begin to write around these. Do this repeatedly, always bringing something new – like the latest discovery in the field or a different perspective on the topic. The more you write on a particular matter, the more relevant you become to the given niche. Search engines appreciate this effort, and your brand becomes an established one; you can turn into an online authority in your field, simply because you are making loads of relevant, highly focused blog posts. When you write blog posts regularly, visitors find more than just product presentations, ads and sales pages. They get to see your vivid interest in your chosen field and your involvement. It is your chance to show them that you care, that you explore the topic, that you have something to say beyond “buy this”. This adds value to a brand. Plus, as you help people expand their knowledge, they feel more inspired to connect to your company and feel they can trust it better. Tip: make sure that each blog post contains at least a few links to influencers in your industry (in other terms, sites with authority). While your brand may be obscure, it will earn points if you point to the bigger players for further information. The sites you link to must have a solid reputation and be active in the same industry or a closely connected one. If you’ve ever researched the matter, you know that search engines now prefer texts that are at least 1,000 words long in order to pay good attention to your website and increase your ranking. This is because the more you are able to write on a topic, the more of an expert you appear to be. In spite of current short attention spans, blog post trends require lengthy pieces. Thus, you are allowed to go in-depth and be convincing. Use the blog space to demonstrate your ability and expand your reader’s knowledge, while leaving your website content short, concise and straight to the point. If you don’t believe this works, do a simple experiment: search for blogs on a particular theme and you will notice that the ones on the first page have posts of lengths between 1,000 and 1,500 words, while the further you go (on pages 2, 3, etc. ), the shorter these posts become. Writing in an SEO-friendly way is a matter of a constantly evolving science. If you don’t keep up with the trends, you won’t be doing anything good. Because there is so much to pay attention to, like coming up with a catchy headline, developing on a topic without getting annoying, integrating links and key phrases, it’s best to leave this task to a professional. Experienced content writers are aware of the exact requirements; besides, they have the talent and research skills to help them write attention-grabbing blogs that focus on increasing sales. It’s important that they also do the keyword identification part. This helps them find the keywords that are ‘hot’ right now or growing/becoming trendy instead of the ones that are declining and therefore bringing less traffic in. There is no need to search online for SEO blog post tips and get tangled in many outdated strategies or more-harmful-than-helpful tips. Sure, eventually you can learn online how to do SEO for bloggers, or you can save time and hire a content writing team for the job. At BestSEO4u we have writers capable of surprising your audience with fresh, informative and flawlessly written blog posts, to increase brand awareness and boost traffic. Ultimately, the service will save you a lot of time on a weekly basis and make readers much more eager to try out your brand. Blog posts represent a valid means to even surpass your competitors so if you’re serious about growing big; then you know what to invest in.